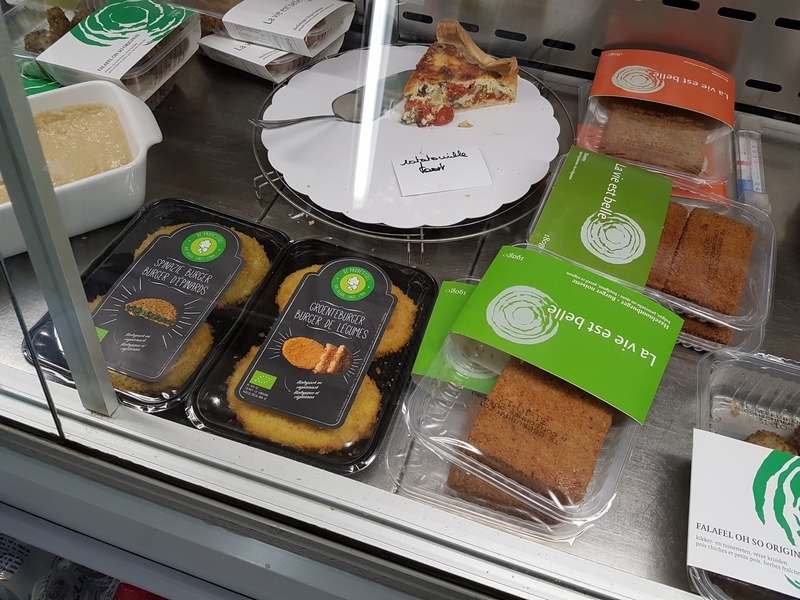 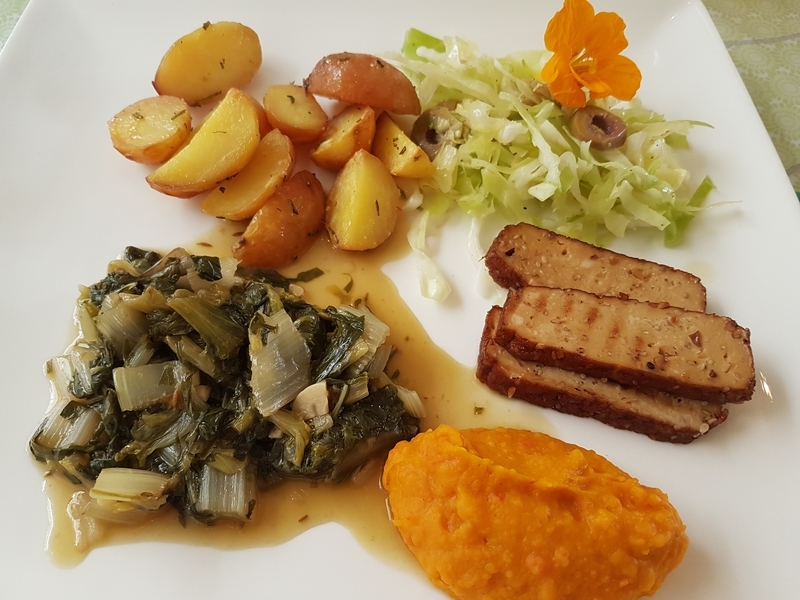 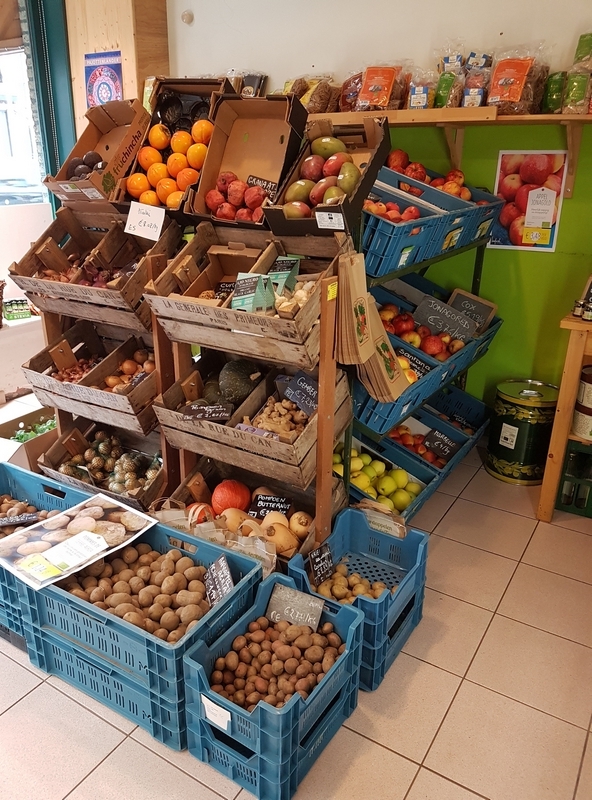 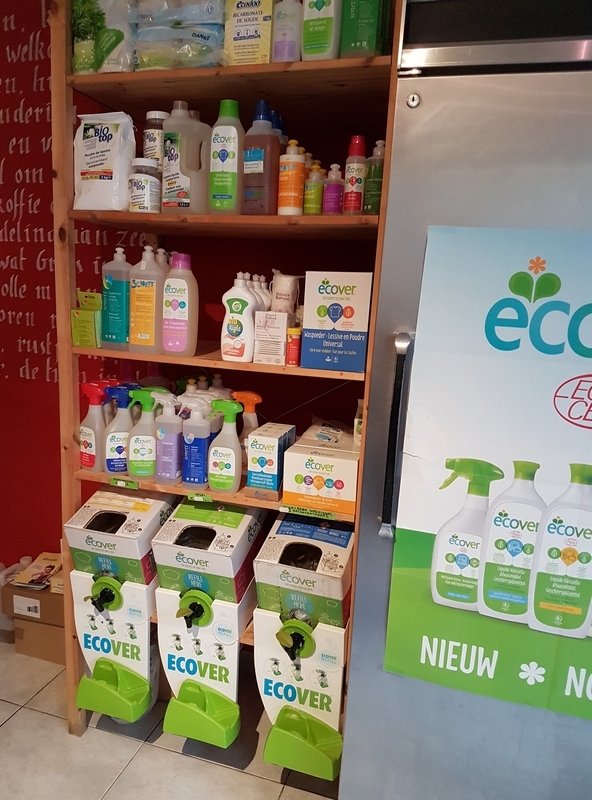 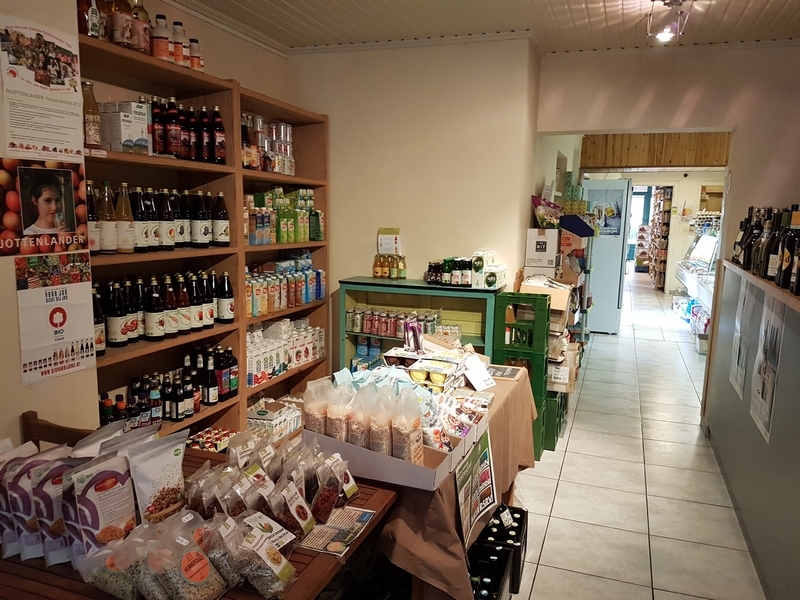 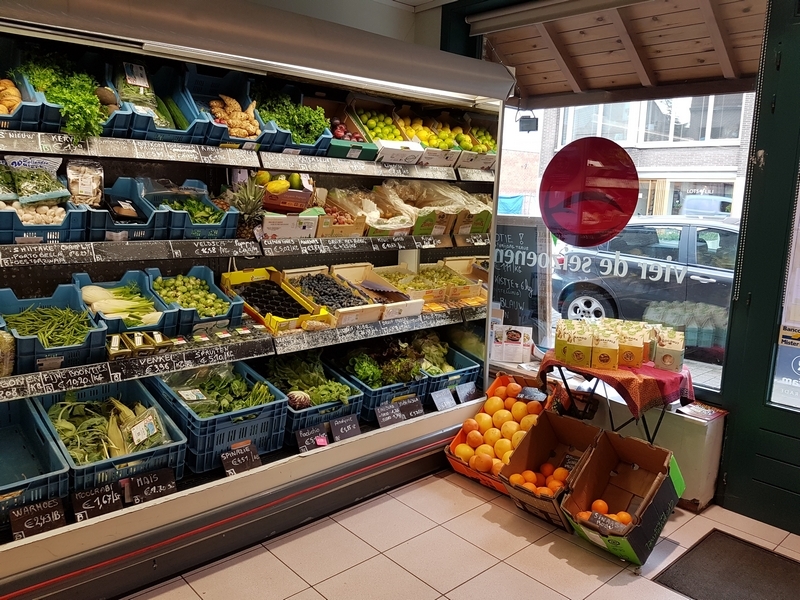 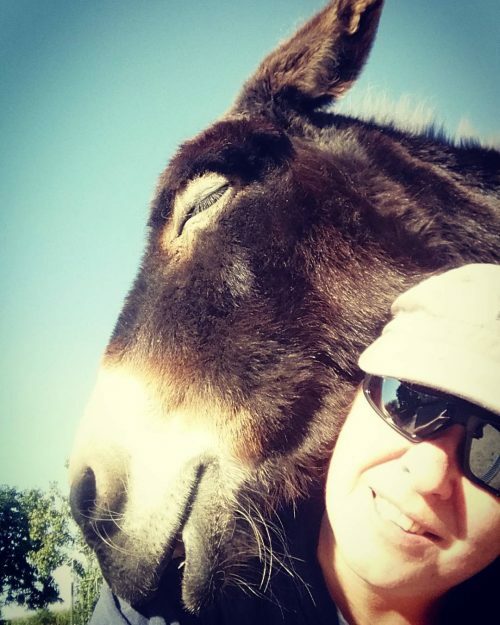 restaurant review #154 – shop review #46 Vier de Seizoenen is an organic shop at the edge of Bruges (Assebroek). 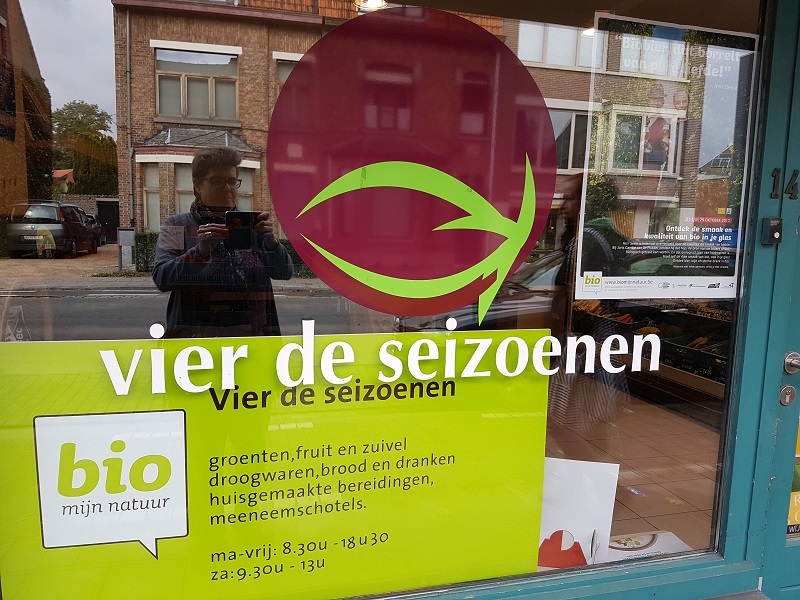 Vier de Seizoenen literally translates as ‘celebrate the seasons‘. 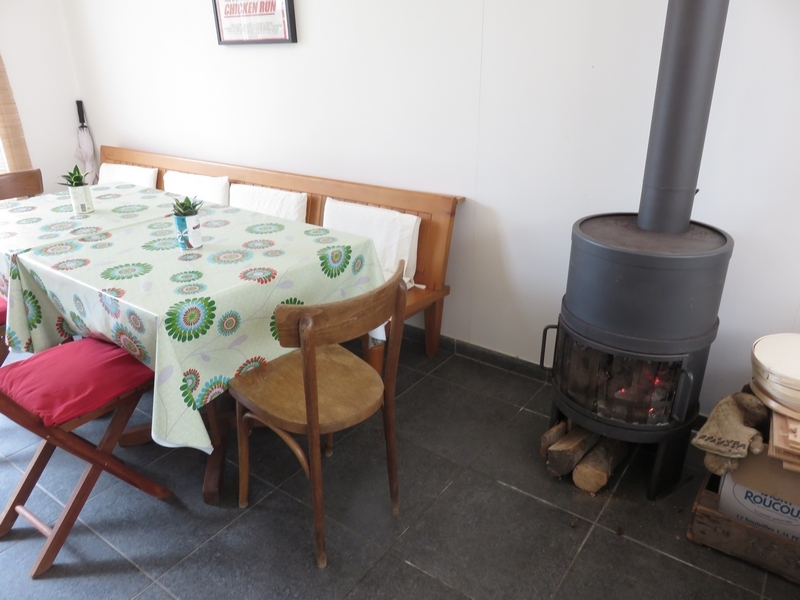 But in Dutch, to celebrate (vieren) also is the word for four, so it also refers to the four seasons of the year. 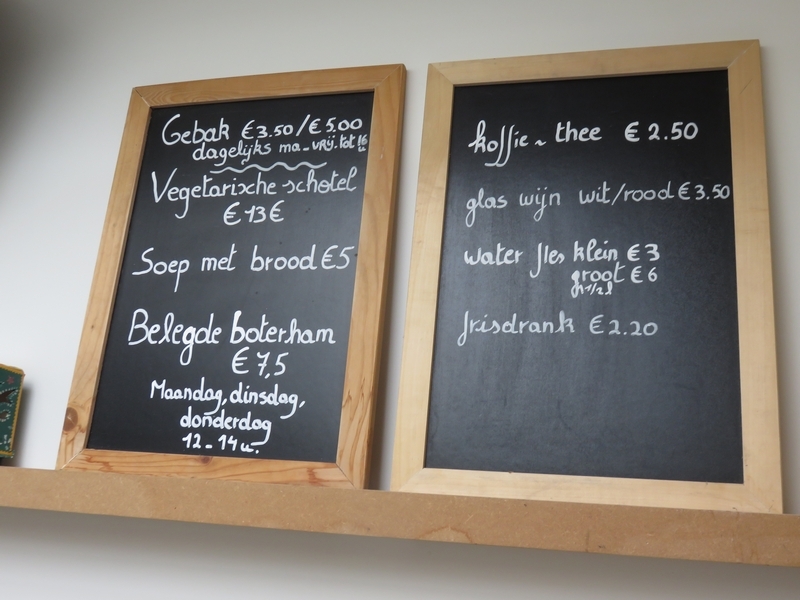 Since September 2017, Vier de Seizoenen serves a vegetarian plat du jour for lunch (on weekdays). 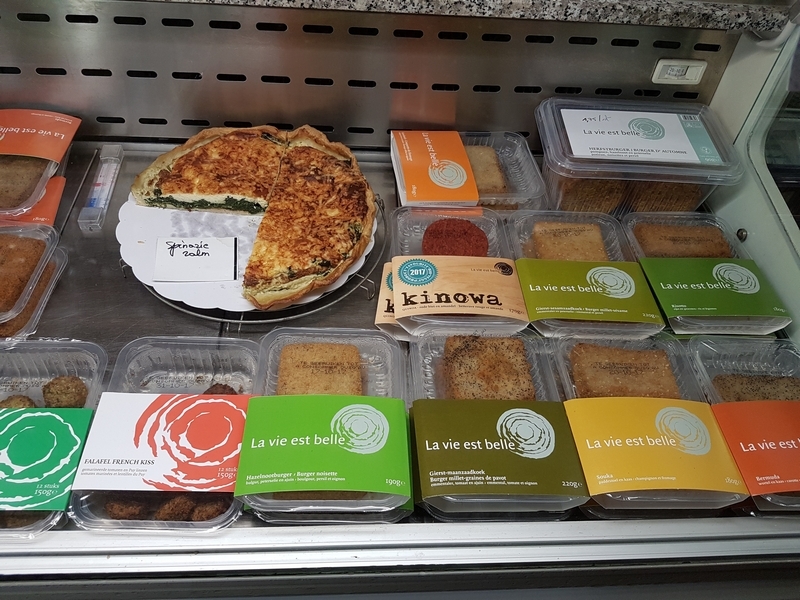 Sometimes, the plat du jour is vegan, or can be veganised. 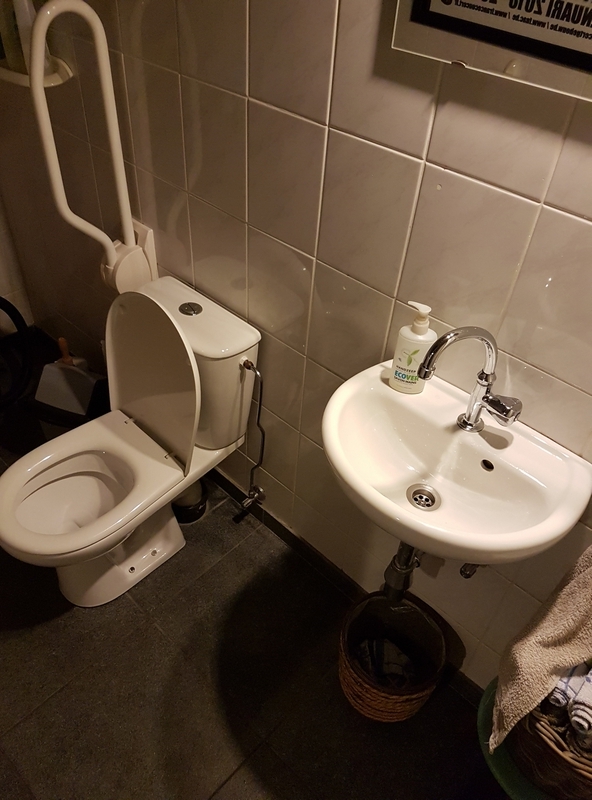 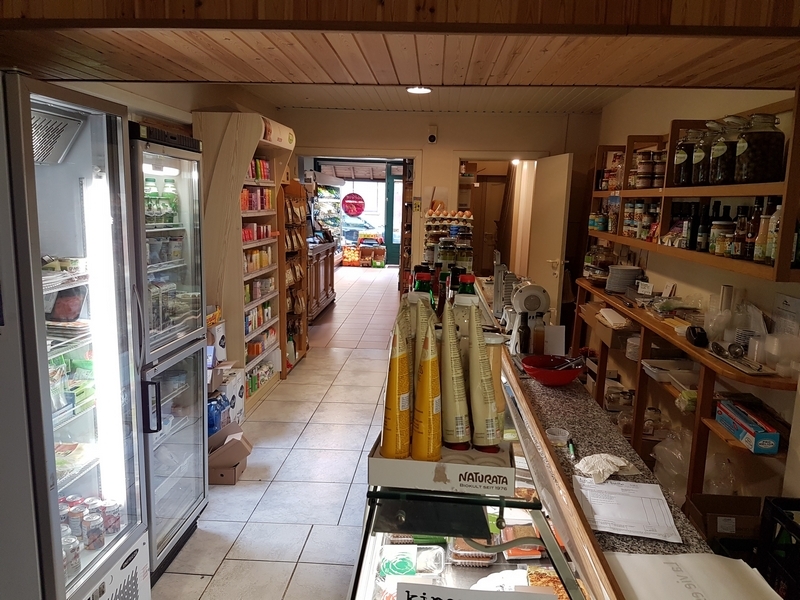 It is advisable to call ahead to be sure, although the lady said they can always fix something last minute, since there are many vegan products in the shop. 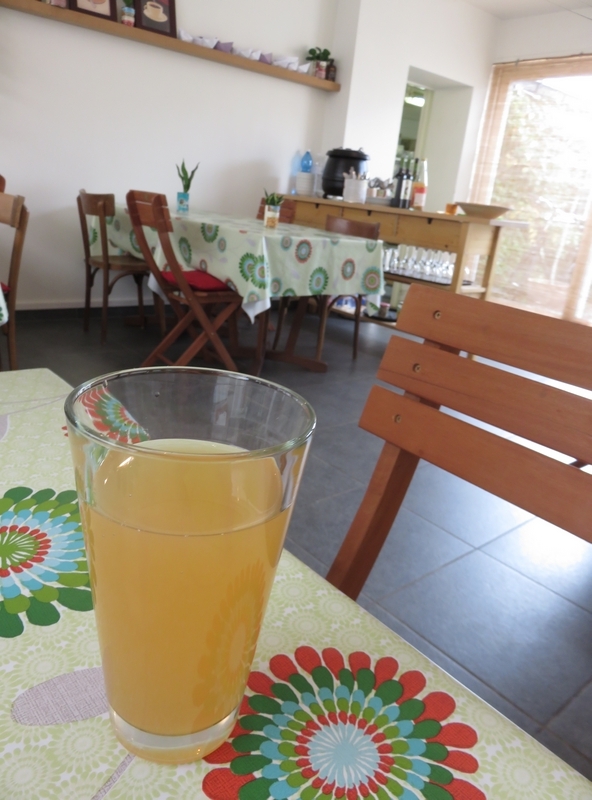 Lunch total was 21,20€ (apple juice, soup, main dish, tea with cookie). 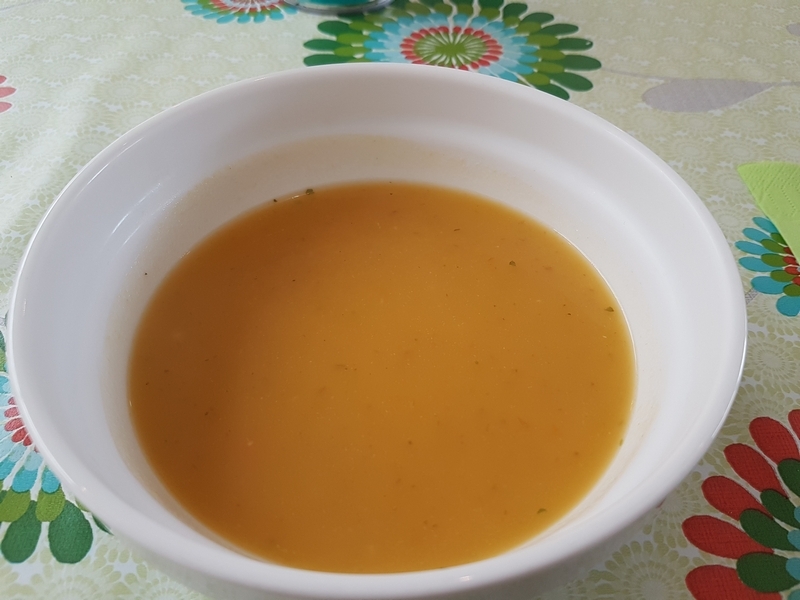 The food was nice, not very culinary exciting, but a pretty basic and straightforward weekday lunch. 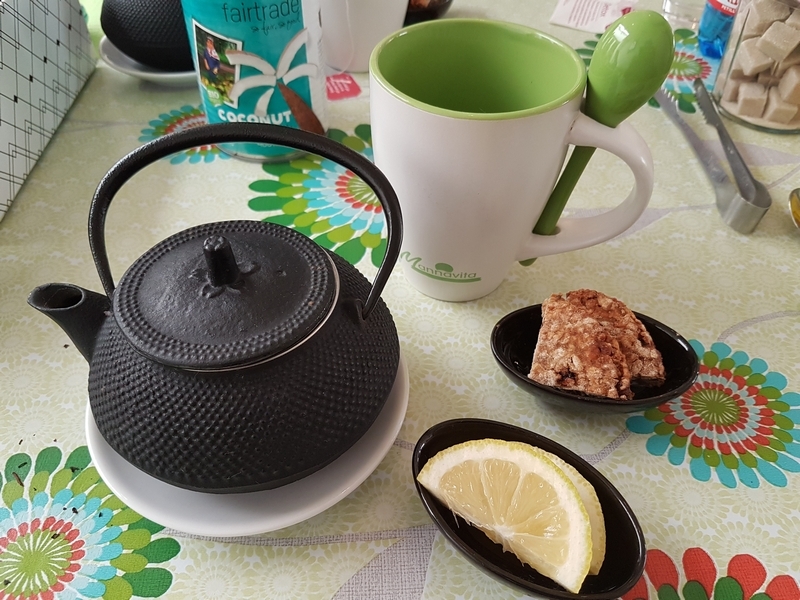 The cake that came with the tea was not vegan (we asked to be sure), but then was replaced with a vegan cookie. 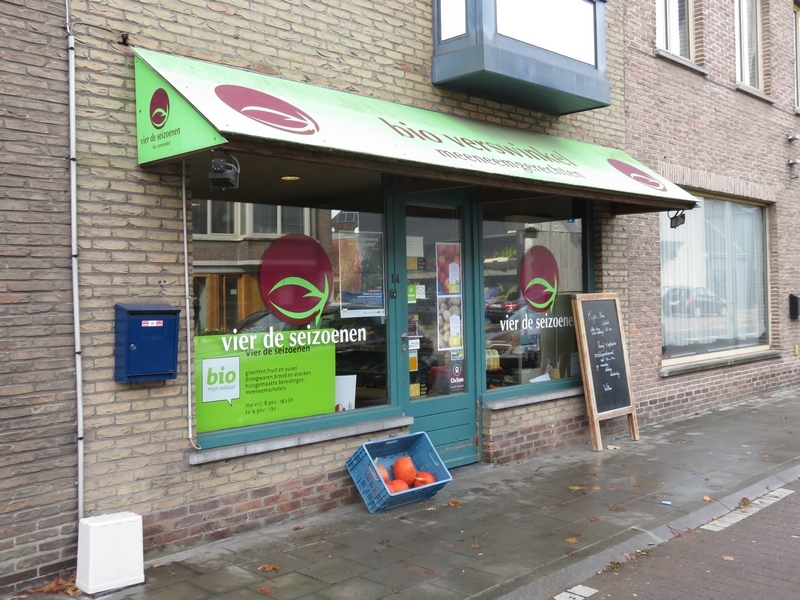 Vier de Seizoenen is a reasonably sized organic shop with several vegan products that are not so readily available in ‘regular’ shops. 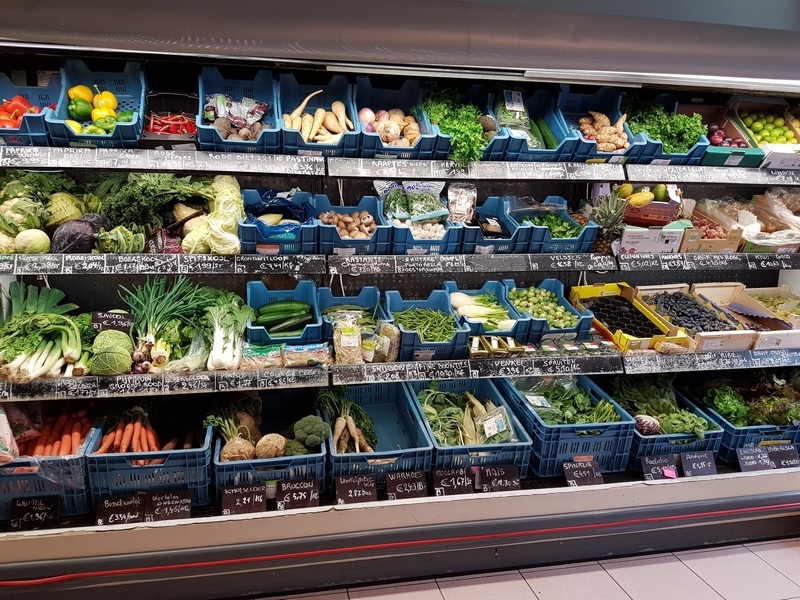 It also has a nice selection of fresh vegetables and fruits. 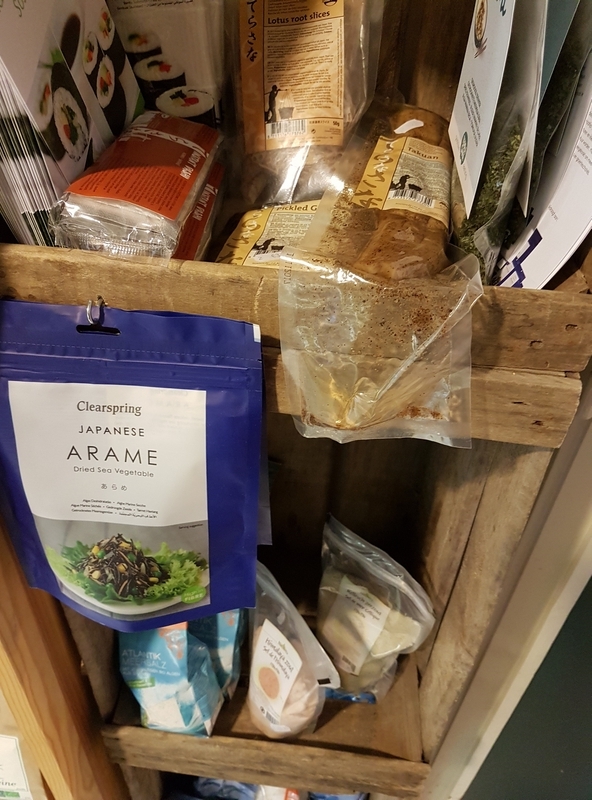 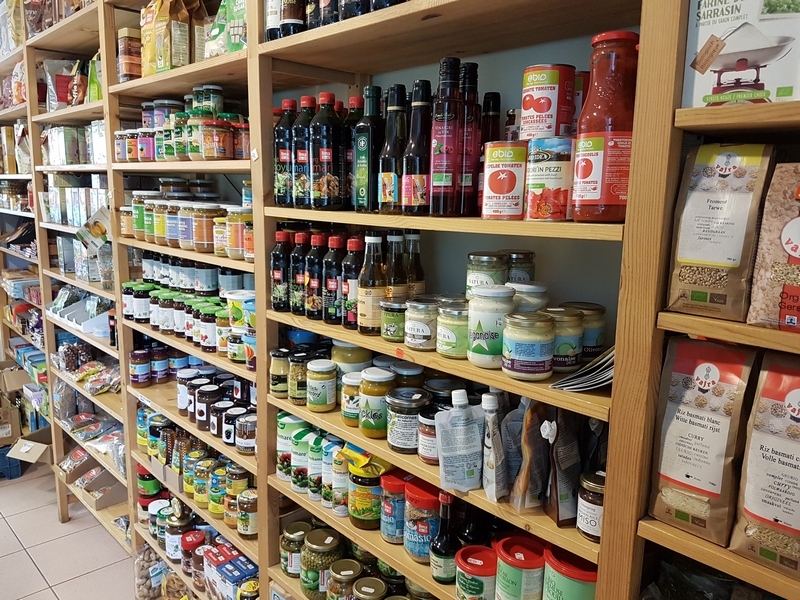 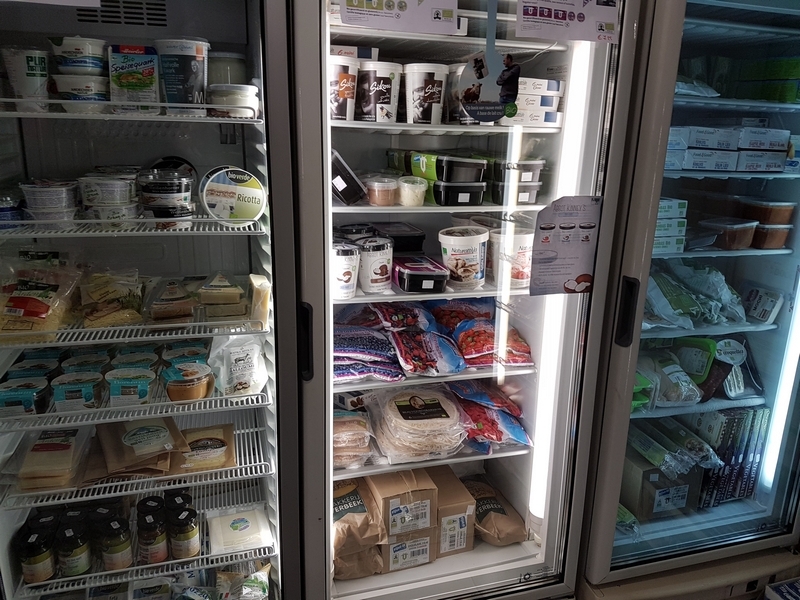 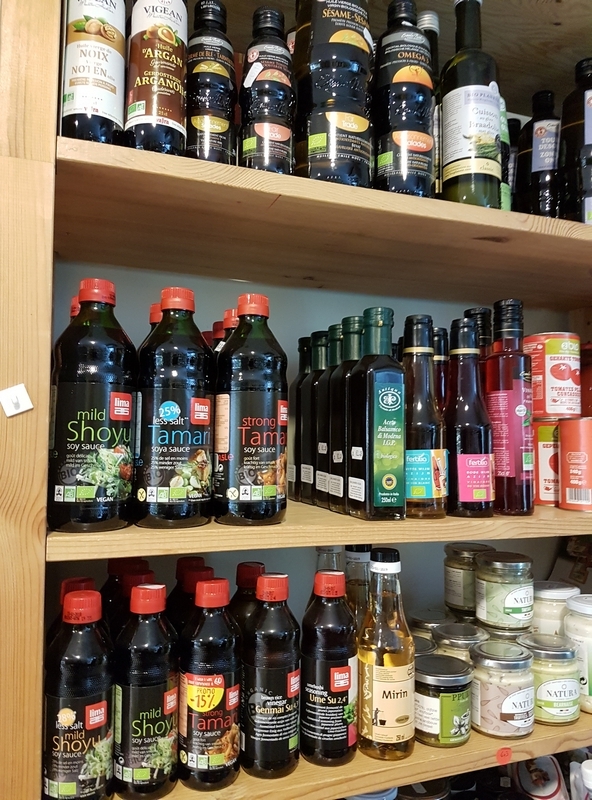 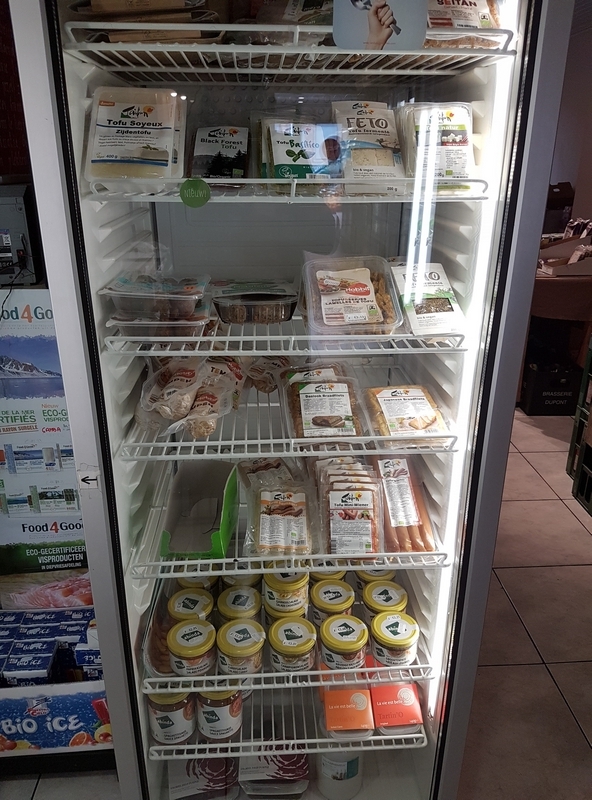 Some more photos from the shop to give you an idea (note that it is not a vegan shop, so not all products on the photos are necessarily vegan). 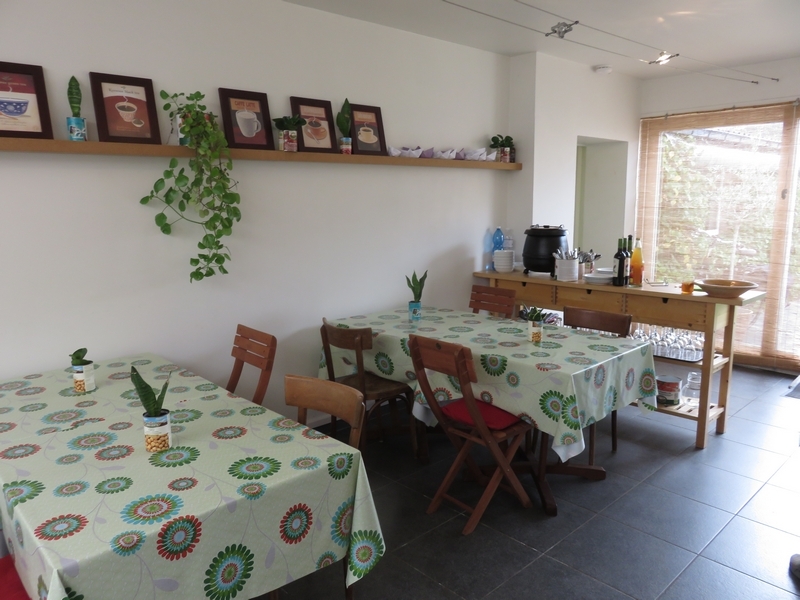 Vier de seizoenen is near the Gentpoort, the old port to Ghent (the old road leading to the city of Ghent).